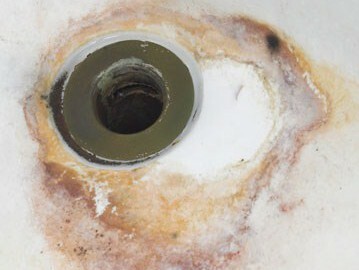 There are many things in your water supply that could cause water stains. A lot of it depends on your water source ( Well or Utility supplied). Most residential wells can have hard water and some other contaminants that can leave stains or spot your appliances, glasses, silverware and shower doors. Some utilities can have well water and surface water as a supply source having the same issues as private wells. The good news is that improving your water can be easily remedied by a water conditioning system that can target specific contaminants to help reduce those unwanted deposits. The first step is to have a basic water analysis to determine which ones you have and how much of it there is. The next step would be sizing the equipment to match your family needs and considering how much you want to budget for clean healthy water.